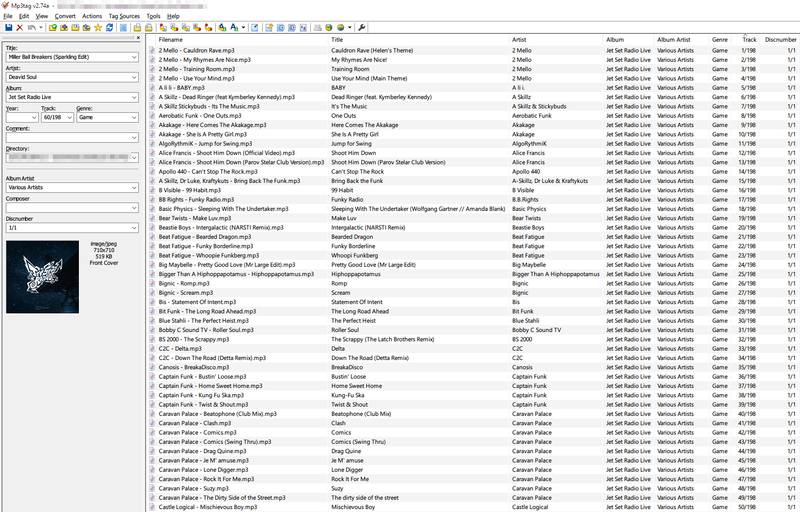 Here is the full tracklist of that awesome "webradio" called [Hidden link. Register to see links.]. I extracted all files from the server. I also added 3 new playlists: Love Shockers, Noise Tanks, Poison Jam ! Don't forget to leave a message to the guy behind this! I will try to keep this updated if he add some new songs. To start the download, click on "Fibre" or "Mobile" buttons on the middle, and watch the short 30sec video, it will unlock the blue DL button at the right of the video. How completely unexpected. I didn't know I wanted this until now. Thanks mate-o. You did a good service, and I'll gladly enjoy listenin' to this. Thanks a lot for this amazing work ! This is excellent, thanks very much for your efforts. I'm happy to upload this version if anyone is interested, obviously only with ninjy's consent. I will use yours for future updates and edit new tracks. Thanks ninjy. Uploading now, will update you with the link when ready. Last edited by jasondonervan; 02-21-2016 at 05:48 AM. so is this like the music from the games or is it something else? Last edited by krazyammo; 03-01-2016 at 10:06 PM. music from the games plus any music that resembles JSR music style in general and wouldn't feel out of place in a JSR game. This is flippin' awesome. You and the othe gentleman deserve, like... all of the votes. theres one or two songs in that list. "...Say That You Wanna Live...!" Oh yes. This site is incredible. Now I can get that RADIOOOOO experience. "So cool, I don't need explain how cool I am." Hell yes, I absolutely love the Jet Set Radio soundtrack! Having JSR inspired music is even better! Those songs on the website are kickass! Thanks a lot dude! Hi guys, thanks for your posts. I updated the compilation with now 246 tracks ! BTW thanks for the upload OP! I will try to retag and reupload it. Will JSRL be continuously updated with more tracks or is this a one time thing? oh. Would be nice if this thread was updated then. Not sure how to get the songs from the site since they don't tell you what's been added. I had to skip songs to see what new songs were added. It was kind of a pain to keep doing that. Sorry to double post but I just recently found a Song List of the songs on JetSetRadio.Live from the Steam group. Last edited by krazyammo; 05-31-2016 at 05:31 PM.